I received 11 medals for placing in my division. 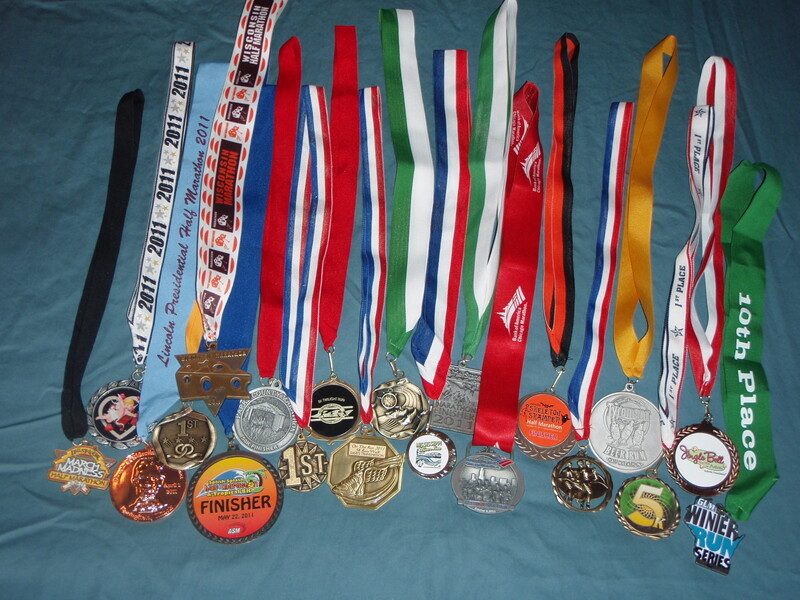 I ran 39 races, 5K – 50K. Completed 2 marathons in 48 hours. Ran a 5K then lined up 5 minutes later for the 10K. Now I am running faster than ever before and welcome speed work without fear but with excitement. I focus every day on a healthy diet, taking amazing supplements, getting the required sleep that I need and putting a strong effort into my training, which includes running, swimming, and weight training. The difference now is that I put in the effort and train with the goal to RACE and WIN! I show up with my game face on because determination and dedication are what have brought me to this point. I finished 2011 with a 5K medal and started 2012 with an 8K medal. My goal is to run faster and exceed my accomplishments from last year. At 47 years old there are still plenty of successful years ahead of me. 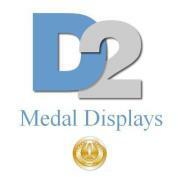 My medal collection hangs in my home with great pride and I share that with my family. I stay in shape and hope to be a role model for my kids. Please visit my site again for updates on my racing. Please tell me about your racing experiences, big or small. HAPPY RUNNING! Run, run, run, sometimes thats all I think about. Wish it was not so cold outside this weekend! I guess I will have to run my 5 miles FAST! I will need to race by 1/28, can’t wait much longer! Does anyone else out there go a bit crazy when they don’t race for a couple of weeks? !